Welcome to the 2017 California National Guard Junior Olympic Championships, presented by Penn and Visit Stockton. This event is hosted at In-Shape Health Clubs - West Lane & Quail Lakes. Welcome 2017 California National Guard Junior Olympic Championship Participants! Seeding/Disputes: Seeding/Draws are up now and we are working on times. Seed disputes are due by Sunday at 2pm MST. Send all inquiries to championships@usra.org. Start Times: Start times will be ready by no later than this Thursday. Check In: Tuesday check in will be at the University Plaza Hotel in the lobby starting at 4pm-7pm. (NO CLUB CHECK-IN ON TUESDAY!!!) The Red Swain Memorial has sponsored this event and there will be "light" ordourves until about 6pm. If you can't make Tuesday check-in, we will start the club check-in Wednesday at 8am. The registration desk will be located down the racquetball hallway by courts 7/8. There will be no check-in available at the Quail Lakes club so all players must check-in at the Hotel or West Lane Club BEFORE your 1st match. ALL SPECTATORS will be required to check in at the club front desk and register! You will get a wrist band that will be REQUIRED to be worn throughout the event to gain access into the club. Shuttle: We will have a schedule running all day at "scheduled times" beginning Wednesday and going through Sunday. We will have that posted for all to see once you arrive. The shuttle will run between the University Plaza, Hilton, Quail Lakes and West Lane clubs only! You will catch the shuttle out the front door of each location and it will have event signage on it so you know what the vehicle is. Food: Meals will be served each day, breakfast snacks, full lunch and dinners. Yes, we are doing dinners too! All players get free food throughout the event however others may purchase meal tickets for $10 per day at the registration desk when you check in or when/if you decide you want to eat at the club. Drinks are not supplied but may be purchased at the club's front desk! Baseball Game: Friday night at 7pm is the Stockton Ports baseball game which is next to the University Plaza Hotel. Each player will get in free and others may purchase tickets at the game for regular price. The $5 family ticket price was only a pre registration price. Tickets are cheap so not a big deal if you haven't got yours yet. We are just offering the ability to go to the game and have everyone hang out. No food or drinks provided as we will have served dinner at the club earlier that evening. Team USA Meeting: There will be a TEAM USA meeting for those that qualify on Saturday @ 5:30pm at the University Plaza Hotel in the convention and meeting room. Fitness Forever Junior Program: There will be a meeting and it will be open to anyone interested in starting a Junior Program in your own city hosted by the Reaching Your Dream Foundation. If you interested in finding out more information on starting or making your program better, you will want to attend this informational session. Day and time TBD. We are excited about this event and hope everyone has safe travels to California! 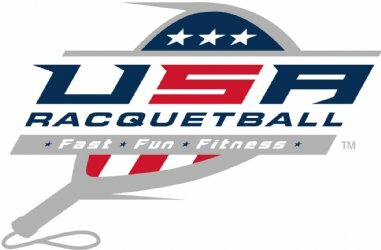 USA Racquetball will NOT give out contact information.